equipment by placing their finger on the biometric reader for verification. touch screen, which is then retrieved from a secure locker. report that links officers to their assigned equipment. DeKeyser's credentials include: certified professional in erosion and sediment control, certified floodplain manager, Professional Engineer in Iowa and Kansas, and land surveyor intern. He also has a master’s degree in civil engineering. For more information on Hall & Hall Engineers, visit www.halleng.com. Hall & Hall Engineers is a flexible, full service land development firm that provides a broad range of services and is proud to announce that Ken DeKeyser has joined us as a Principal and Project Manager. Mr. DeKeyser will deliver enhanced public services for our clients throughout Eastern Iowa. Ken is a leader in engineering for Iowa and has provided creative solutions for Municipal projects. His credentials include: Certified Professional in Erosion and Sediment Control, Certified Floodplain Manager, Professional Engineer in Iowa and Kansas, Land Surveyor Intern and has a Master’s Degree in Civil Engineering. The board of directors of Draper Aden Associates announced that Jeffrey Lighthiser, P.E. will assume the role of chief executive officer and president on January 1, 2010. Bill Aden, P.E., current president and CEO, will continue to serve as chairman of the board and work full time for the firm. This change is part of a long-planned transition that has been structured to move the firm into the next generation of leadership. Lighthiser, currently executive vice president and director of marketing and strategic growth, brings 33 years of engineering and management experience to the post. He was instrumental in establishing the Richmond office and served as office manager for 22 years. Jeff also currently holds the position of Site Planning and Engineering Division director and is a member of the board of directors. Lighthiser is a registered professional engineer in six states and has a BS in Civil Engineering from Virginia Tech. Bill Aden, co-founder of Draper Aden Associates, will remain active with the firm in business development efforts and will take on special strategic projects for firm growth opportunities. He will continue his role in project work and mentoring. Draper Aden Associates, founded in 1972, is an engineering, environmental, and surveying firm with offices in Blacksburg, Charlottesville, Hampton Roads, and Richmond, VA. For more information, visit www.daa.com. 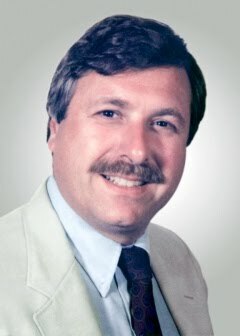 The Northeastern Pennsylvania Chapter of the American Society of Highway Engineers has established an endowed scholarship at Wilkes University in memory of Charles "Chuck" Mattei, former district engineer for the Pennsylvania Department of Transportation. Society representatives presented a $50,000 check establishing the scholarship at a recent dinner at Wilkes. Mattei, who died in 2003, was PennDOT's District 4-0 engineer from 1986 to 2003. He was responsible for many notable projects, including the Interstate 81 interchange at Montage Mountain that was dedicated in his name. Mattei also left behind significant legacies at Wilkes and in Pennsylvania's transportation system. He was an assistant professor of environmental science and head coach of the men's lacrosse team at Wilkes for many years. His wife Dwaine Mattei of Forty Fort, is a Wilkes alumna from the Class of 1974. Dominic Yannuzzi, an engineer with the Alfred Benesch and Company office in Hazleton, has organized a golf tournament in Mattei's honor for a decade to raise funds for the scholarship. "In my involvement with the ASHE group for the last 15 years, their dream was always to help engineering students in northeastern Pennsylvania," Yannuzzi says. "Every June, other volunteers and I put our hearts into this annual event," he continues. "We know and respected Chuck. It is a wonderful tribute to Chuck's legacy and the dedication he had to northeastern Pennsylvania. It was perfectly clear that the scholarship in the name of Chuck Mattei represented the group's dream." First established in 2005, The Charles Mattei Scholarship has provided two $1,250 scholarships annually to Wilkes students pursuing engineering degrees. Wilkes President Tim Gilmour said the endowed scholarship will benefit generations of students. "We are extremely grateful to the American Society of Highway Engineers for their commitment to Mr. Mattei's memory and to our students," Gilmour says. Recipients of The Charles Mattei Scholarship must demonstrate strong academic performance with a grade-point average of 3.0 or higher and show evidence of service to the community and others. Students from northeastern Pennsylvania are given special consideration in awarding the scholarship. ERA and Frauenhoffer Associates have collaborated extensively on numeroul projects. The similar culture of the two firms and the staff’s familiarity will accommodate successful integration and ensure consistency of service. John Frauenhoffer, PE, SE will serve as ERA’s director of structural engineering services in the Champaign office. The acquisition enhances ERA’s capabilities in providing structural design, structural inspections, and forensic investigations in conjunction with established offerings in the areas of stormwater management, transportation engineering, environmental design, and land surveying. The new team will include professional engineers, structural engineers, certified floodplain managers, professional wetland scientists, LEED accredited professionals, and land surveyors. Engineering Resource Associates has offices in Warrenville, Geneva, Chicago and Champaign, IL. For more information, call (630) 393-3060 or visit www.eraconsultants.com. Two of the five engineers named by the American Council of Engineering Companies (ACEC) as 2009 “Young Professionals of the Year” work at Langan Engineering & Environmental Services, a site development engineering and environmental consulting firm. This national awards competition program strives to promote the accomplishments of young engineers by highlighting their engineering contributions and the resulting impact on society. To be eligible to compete in ACEC’s highly selective application process, nominees must have a degree in engineering and be 30 years of age or younger. Walter (Kyle) Bogardus, P.E., an assistant project manager at Langan in New Haven, Connecticut, is responsible for the oversight of the production of conceptual, permitting, and construction documents for a wide variety of site development projects. A civil engineer with a bachelor’s degree from The Citadel, he specializes in stormwater management design studies and regulatory permitting. In addition to his civilian career, Bogardus is a captain in the United States Army Reserve, where he is currently serving as company commander of the 424th Engineer Company in Rutland, Vermont. His unit has deployed to Kuwait/Iraq in support of Operation Iraqi Freedom, to Germany in support of troop construction projects, and to Niger Africa in support of the global war on terrorism. K. Brent Gatlin, P.E., LEED AP, a senior staff engineer at Langan in New York City, has extensive water resources engineering experience and has applied “green” design to city parks, greenways, bicycle lanes, public schools, institutions, and multi-use developments. His expertise has been enhanced through his broad international experience, including performing the site design and layout of the new U.S. Embassy in Panama as well as site improvements for the U.S. Embassy in Moscow and David Farragut High School in Rota, Spain. Additionally, Gatlin worked with Engineers Without Borders on the Cambodia Water Project to design and construct a new dam to provide irrigation for residents dealing with severe food shortages. He also volunteers with New York Cares to help revitalize New York City. Founded in 1970 and headquartered in Elmwood Park, New Jersey, Langan (www.langan.com) provides integrated site engineering and environmental consulting services for private developers, property owners, and public sector clients. Its services include site/civil, geotechnical, and environmental engineering as well as landscape architecture and planning, survey/mapping, BIM-compatible 3D laser scanning, traffic/transportation, CADD/GIS, natural and cultural resources/permitting, and sustainable design consulting. Langan employs more than 500 professionals and has regional offices in New York City; Philadelphia, Bethlehem, and Doylestown, PA; New Haven, CT; Trenton, NJ; Arlington, VA; Miami and Tallahassee, FL; Las Vegas, NV, and Irvine, CA. KS Associates, Inc., a civil engineering and land surveying firm in Elyria, Ohio, announces the appointment of Michael Malloy, P.E., to director of transportation services. Malloy will lead KS Associates' Transportation Group, a team of Professional Engineers who specialize in developing solutions for surface transportation and infrastructure projects. The Group serves state and local government agencies as well as private developers. Malloy has more than 20 years of experience in designing new and rehabilitated roadways, interstates, bridges, intersections, and a variety of transportation-related projects. He has designed more than $60 million worth of projects and has overseen more than $200 million of work. Major project experience includes the I-90 CEI Corridor Project, the I-271 Major Bridge Widening Project over Tinkers Creek, the Central Viaduct I-90 Bridge Approach Deck, and the Main Avenue Bridge Emergency Repair. Malloy is adept in critical facets of transportation projects, including feasibility and planning studies, stormwater design, NEPA environmental studies, traffic impact studies, maintenance of traffic (MOT), funding assistance, value engineering, and construction services. One of his specialties is bridge design and rehabilitation. While employed at ODOT District 12, Malloy was responsible for the safe and timely repair of 900 state-owned bridges. He also served as the local agency liaison, providing technical expertise and guidance to municipalities. Malloy has a B.S. degree in civil and environmental engineering from the University of Cincinnati. He is a licensed Professional Engineer in Ohio. Malloy is a member of the Association for Bridge Construction and Design (ABCD) and American Institute of Steel Construction (AISC). A technical assessment team from the American Society of Civil Engineers (ASCE) recently traveled to the Samoan islands to study the impact of the September 29, 2009 earthquake and tsunami on the region’s infrastructure. The team examined the performance of systems such as drinking water and sewage, roads and power supplies; looked at the effectiveness of shore protection and coastal management efforts; and gathered information on forces and loading that could aid resilient development efforts. As part of its disaster response procedure, ASCE forms technical teams to study infrastructure damage caused by natural or man-made disasters. Such studies are conducted so engineers may learn from the disaster and, perhaps more importantly, so those lessons learned may be documented to inform future actions. ASCE has participated in more than a dozen assessments in the last decade, including studies of the World Trade Center and Pentagon in 2001; earthquake assessments in Italy, China, Peru, Japan, Sumatra-Andaman, Algeria, Alaska, and California; and assessments following hurricanes Katrina and Ike. Broward County recently awarded the Fort Lauderdale-Hollywood International Airport (FLL) Expansion of Runway 9R/27L project to the team led by PBS&J + RS&H. The project, an ambitious, $810 million capital improvement effort, is significant because it involves the complete reconstruction of the south runway at FLL, expanding it from 5,000 feet to over 8,000 feet in length. The complex project will span an active federal highway and railroad, require large amounts of fill, and the runway tunnel and taxiway bridges will be bid out as separate design-build projects. The project team is rounded out by ten other Broward County-based and small business team members. For more information about the project contact Chris Spann, PE, PBS&J national aviation business sector manager at caspann@pbsj.com. PBS&J (www.pbsj.com) is an employee-owned company that provides infrastructure planning, engineering, construction management, architecture, and program management services to public and private clients. RS&H (www.rsandh.com) is a facilities and infrastructure consulting firm whose market sector programs include aerospace and defense, aviation, corporate and commercial, education, health and science, public infrastructure, and transportation. In 2007, Marc Sheffler arranged for his company, Boeing, to present a $50,000 check to the Design Team Endowment Fund, founded by the Student Engineers’ Council at Virginia Tech. A few months later, he supplemented that check with another $15,000 check from Boeing for the same cause. 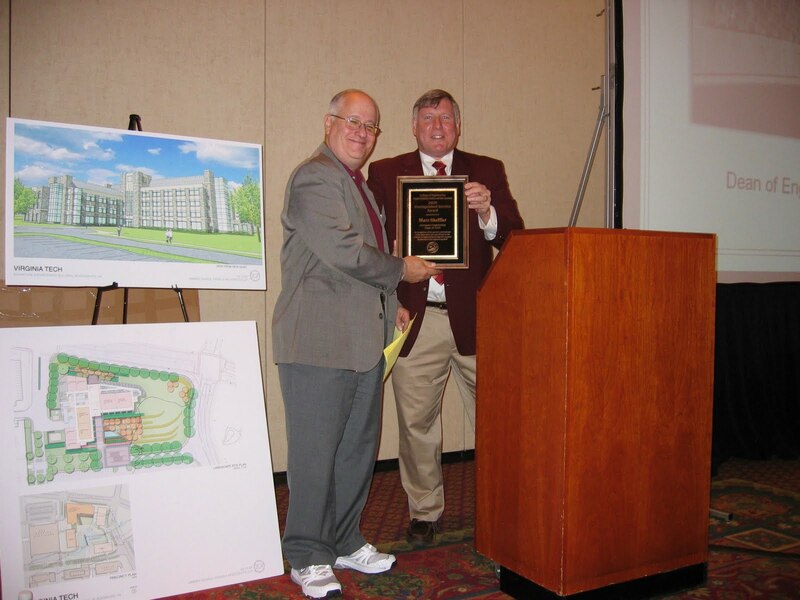 In 2009, he presented the Student Engineers’ Council with yet another $20,000 for the Design Team Endowment. It’s no surprise that Sheffler of Bear, DE, a 1973 aerospace engineering graduate of Virginia Tech, should receive the College of Engineering’s Distinguished Service Award. The honor was bestowed at a meeting of the College’s Committee of 100, a prestigious group of engineering graduates of Virginia Tech. The Student Engineers’ Council began its Design Team Endowment to support the growing need for funding engineering design teams. “With Boeing’s help over the years, the council should successfully meet its phenomenal three-year goal -- reaching $500,000 by 2010; an amount that will allow the Student Engineers’ Council to grant over $20,000 each year to engineering design teams. These competitive grants ensure the success of several design teams by allowing the students to focus on and improve the quality of their projects, which reflects very well on our College of Engineering at Virginia Tech,” said Richard Benson, dean of the college as he presented the award. “In addition to providing for the award-winning student design teams, Marc has directed $5000 to our area public school system to support Virginia Tech’s FIRST Robotics Partnership where our students work with secondary schools on a robotics competition,” Benson, the Paul and Dorothea Torgersen Chair of Engineering, added. Sheffler has also coordinated Boeing’s support for the aerospace and ocean engineering department and a number of engineering scholarships at Virginia Tech over the years. Sheffler joined Boeing in 1973, the same year he earned his bachelor’s degree in aerospace engineering from Virginia Tech. He has worked in a variety of positions including the Comanche Air Vehicle Design project. At the time it was built, the Comanche incorporated more low-observable stealth features than any aircraft in Army history. 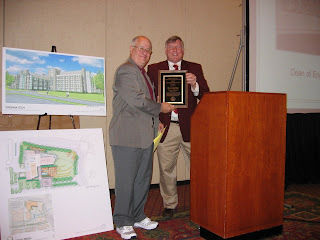 Afterwards, Sheffler was named as an Honorary Fellow of the American Helicopter Society. 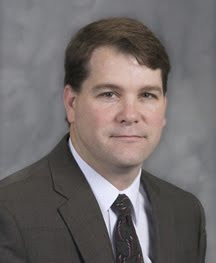 He is currently Boeing’s senior manager of the Engineering Phantom Works and is located at its Philadelphia, PA office. As Boeing’s primary point of contact with Virginia Tech, Sheffler regularly spends several days each year on campus, meeting with researchers and students. “If you ever saw one of his emails reporting on the trip, it goes to literally dozens of Boeing employees, informing them of all of the excellent research going on in our College of Engineering. He matches our research efforts with key decision makers at Boeing,” Benson said. “And whenever, Marc comes to town, he makes time to be with our students. They have held picnics in his honor, hosted him at a local restaurant, and enjoyed several lunches with him,” the dean said. MACTEC Engineering and Consulting (MACTEC) has promoted Allen J. Ikalainen, Jeff R. Keaton, Michael D. Sufnarski, and Nelson Walter to vice president. Ikalainen is based in the firm's Wakefield, MA office and spearheads operations for three of MACTEC's New England offices. He has more than 30 years experience in both the private sector and the U.S. Army Corps of Engineers. His background includes program/project management and engineering assignments related to remediation of contaminated sediments, waste site cleanup, and dredge/fill issues. Ikalainen has a M.S. in environmental engineering from Northeastern University and a B.S. in civil engineering from Worcester Polytechnic Institute. Keaton is based in MACTEC's Los Angeles office and joined the firm in 2005. For almost 40 years, he has provided consulting engineering geology services for a variety of clients and projects on five continents. Keaton specializes in quantifying hazardous natural processes for siting and design. Keaton is licensed as a geologist and engineer in several western states, including Alaska. He earned his Ph.D. in geology from Texas A&M University, his M.S. in engineering (soil mechanics) from UCLA, and his B.S. in geological engineering from the University of Arizona. Sufnarski joined MACTEC in 2003 and has served as operations manager and business unit leader of the engineered construction group. He was promoted to Charlotte office manager in April 2008. Sufnarski has more than 17 years experience in both the public and private sectors. He served for over a decade as a commissioned officer in the U.S. Army Corps of Engineers, leading disaster-recovery and rebuilding efforts in the wake of hurricanes Katrina, Rita, and Wilma. Recently, Sufnarski managed three nuclear safety-related projects involving geotechnical, geophysical, environmental, and laboratory testing services. Sufnarski is a registered Professional Engineer in both North Carolina and Texas, and is LEED™ accredited. He holds a B.S. in civil engineering from the United States Military Academy at West Point and a M.S.E. in environmental and water resources engineering from the University of Texas at Austin. Based in Portland, ME and with MACTEC since 1986, Walter previously served as senior principal project manager. He is an environmental and site specialist who has been able to bring regulatory closure to several of the nation's most complex remediation projects. Walter's technical background includes expertise in chemical and radiological contamination. He has managed multimillion-dollar projects from site investigation through engineering study to joint MEC-MDC design/build and cleanup. Walter holds a B.S. in chemical engineering from Rensselaer Polytechnic Institute. He is a frequent contributor at events related to chemical and radiological programs and trends. MACTEC (www.mactec.com), based in Alpharetta, GA, is a consulting, engineering, and construction firm focused on five strategic business lines: Industrial/Commercial, Federal, Municipal, Energy, and Transportation. With annual revenues of more than $490 million, MACTEC's 3,000-plus employees work from more than 80 offices nationwide. 2rw energy engineers conducted an energy survey of NASA Goddard/Greenbelt facilities in support of an Energy Performance Contract. The 2rw survey team was responsible for the mechanical systems, including air handlers and air distribution systems, controls, utility metering, ground source heat pumps, and energy innovation. 2rw engineers conducted site surveys at twelve buildings, including the facility that houses the Hubbell Space telescope service bay. The scope of work also included commissioning three facilities. Headquartered in Charlottesville, Virginia, 2rw is a mechanical, plumbing, and electrical engineering firm that specializes in sustainable design and development of energy reduction strategies. ARCADIS, the international consulting and engineering company, today announced the hire of William Broz, PE, LEED AP as operations manager in the Construction Claims Services department of the firm. Broz will operate out of the Los Angeles area. With more than 30 years of design, construction and claims experience, Broz has a robust background in estimating and controlling design costs for major capital projects, including design-build projects in the $50 million+ range. A registered professional engineer in California, Washington, Oregon, Alaska and Massachusetts, Broz earned his B.S. in engineering at the University at Washington and his M.B.A. in economics at Seattle University. Broz has considerable experience designing systems for energy efficiency, including Leadership in Energy and Environmental Design (LEED) projects at Gold award levels. Broz is a LEED 2.0 Accredited Professional and is also experienced in facility life-cycle costing. Before joining ARCADIS, Broz was a vice president and general manager at CTG Forensics, a provider of forensic engineering and construction claims services. His primary responsibilities at ARCADIS will include oversight of the company’s California operations of the Construction Claims Services practice. Broz will report directly to Joe Seibold, executive vice president in the Los Angeles office. Gary Neuwerth, Ph.D., PE, an engineer who has directed many civil infrastructure and building projects and leads one of the nation’s largest teams of engineers and environmental specialists, recently marked his 40th anniversary with Dewberry. Neuwerth is president of the northeast operations of Dewberry, with nine locations and nearly 500 employees. 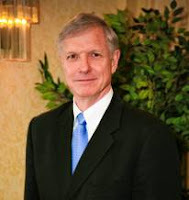 Neuwerth began as a computer programmer in the firm’sNew Jersey office in 1969. He rose steadily through the Dewberry organization, assuming the management of the company’s New York City office in 1989 and serving as senior vice president and chief operating officer for the entire northeast operations beginning in 1999. By the year 2000, he had been named president of the northeast operations, where he continues today to oversee the work of diverse professional teams in New Jersey, New York, Connecticut, Massachusetts, andPennsylvania. Dewberry is a 2,000-person professional services firm, specializing in infrastructure engineering, architecture and building engineering, and management and consulting services. Established in 1956, the firm has more than 40 locations nationwide, with headquarters in Fairfax, Virginia. The firm’s major clients include several state departments of transportation, turnpike authorities, transit and railroad agencies, port authorities, and major government agencies such as the Federal Emergency Management Agency, the U.S. Army Corps of Engineers, and the U.S. Naval Facilities Engineering Command. Dewberry also serves many clients in higher education, development, healthcare, and private industry. For more information, visit www.dewberry.com. The American Public Works Association (APWA) Chicago Metropolitan Chapter’s student mentorship program continues to thrive, two years after its creation by Bonestroo’s Bill Dinchak, PE, BCEE. Dinchak, a business development manager in Bonestroo’s Libertyville, IL office and longtime member of APWA, developed the mentorship program to help students interested in public works professions gain exposure to the field. The APWA student mentorship program is directed to college and university students enrolled in public works-related degree programs, including engineering, construction management, computer-aided drafting and design (CADD), landscape architecture, and urban planning. The mentorship program provides students with the opportunities and tools needed to achieve career goals, including development of a professional contacts network, observance of engineering and public works professionals on the job, and internship and scholarship opportunities. To date, 50 APWA members have volunteered to present panel-formatted mentorship programs to local colleges and universities. The presentation format allows for question and answer sessions and interaction between mentors and students. Mentorship programs have been presented at Northern Illinois University, the College of Lake County, and Elgin Community College. As a result of a successful first round, both the College of Lake County and Elgin Community College have scheduled repeat engagements. Additional presentations have been scheduled for McHenry County College, Oakton Community College, the Illinois Institute of Technology and Triton College. Dinchak’s goal is to present the mentorship program at all of the representative Chicago-area colleges and universities, and assist as many students as possible. Along with regional support, the APWA student mentorship program has attracted national attention. APWA headquarters in Kansas City invited Dinchak to present the program via webinar broadcast to APWA chapters throughout the country; this webinar took place in February. Dinchak will also be presenting the program at the 2009 APWA International Congress in Columbus, Ohio, on September 14. As this program is the first of its type in APWA’s history, chapter representatives throughout the country have been contacting Dinchak for information and guidance on starting programs in their own jurisdictions. Bonestroo is a full-service engineering, planning, and environmental science firms, providing solutions to the government, private, energy, and industrial markets. Service areas include municipal infrastructure, water, wastewater, transportation, water and natural resources, land development, planning, urban design, landscape architecture, building engineering, and sports and recreation. Bonestroo’s recent merger with Northern Environmental enables the firm to provide additional services in compliance and industrial hygiene, property assessment and brownfield redevelopment, and contaminant investigation and remediation. into tactical shelters and other rugged enclosures. Holly Montague, PE, recently became an American Traffic Safety Service Association (ATSSA)-certified Traffic Control Design Specialist. This certification meets the new Virginia Department of Transportation (VDOT) Advance Work Zone Traffic Control Training requirements for designers of Temporary Traffic Control Plans. A transportation engineer in Burgess & Niple’s (B&N) Dulles, Virginia office, Montague has more than 16 years of experience in roadway design, including numerous projects for VDOT and other state and local transportation agencies. Montague joined B&N in 1998. Her expertise includes preliminary and final design of rural and urban roadways, intersection and parking design, maintenance of traffic plans, public hearing coordination, and final construction plans. Montague graduated with a Bachelor of Science in Civil Engineering from Virginia Tech in 2003. B&N is a full-service engineering and surveying firm with 21 offices across the nation. The firm’s mid-Atlantic offices are located in Chantilly, Richmond, Virginia Beach, and Woodbridge, Virginia; and Rockville, Maryland. For additional information, visit www.burgessniple.com. Cardno TBE, a full-service civil/environmental engineering and consulting firm, has relocated its office on into expanded facilities at 12030 Lakeland Blvd, Suite 105 in Baton Rouge, LA. Cardno TBE is also pleased to announce that, John W. "Billy" Moore, PE, has joined the firm as senior project engineer and manager. Moore will be responsible for the planning, implementation and management of all subsurface utility engineering and utility coordination projects throughout Louisiana and Arkansas. Prior to joining Cardno TBE, Mr. Moore was the manager of utility relocation for the joint venture firm responsible for the $100 million of utility relocations as part of the $4 billion LA DOTD Transportation Infrastructure Model for Economic Development (TIMED) program. “Moore also previously served as design engineer or project manager for over $8 million of utility relocation projects for the utility companies in four different DOTD districts through Louisiana,” says Allen. Moore is a registered Professional Engineer in the state of Louisiana and holds bachelor and master’s degrees in civil engineering from Louisiana Technical University in Ruston. Cardno TBE, a member of the Cardno family of companies, offers a full range of consulting, design, engineering and construction services, including civil, environmental, transportation planning and design, right-of-way acquisition/relocation, subsurface utility engineering, surveying and mapping, 3-D underground imaging, and utility coordination. Cardno TBE is headquartered in Clearwater, Florida, and has more than 40 offices serving clients in the United States, Canada, and United Kingdom. Visit us at www.CardnoTBE.com. Thomas Pellarin, PE, has joined Peter R. Brown Construction (Peter Brown) as vice president of business development. Pellarin is transitioning from a 20-year career with sister company PBS&J, where he most recently served as part of the company’s Transportation Service’s Executive Committee. Peter Brown President Judy Mitchell states, “Tom will help us both build a stronger presence and identify construction opportunities within central Florida, particularly in the higher-education marketplace. He will help us identify potential construction opportunities through PBS&J, which has a very strong presence in the southeastern U.S. And we will count on him to help Identify resources and talents within PBS&J for teaming opportunities.” He will also assist Peter Brown with the company’s continued efforts in the federal marketplace, helping them build on the reputation PBS&J enjoys in that market. Pellarin’s career at PBS&J has been varied, including division manager, national service director for civil, deputy service manager for facilities, Florida state director, and central Florida district director. He was a senior vice president with PBS&J and a member of that company’s board of directors from 1998 to 2006. Pellarin is located in the Orlando office and can be reached at 407.806.4277 or pellarintd@peterbrownconst.com. Peter R. Brown Construction (www.peterbrownconst.com) provides comprehensive construction management and design-build services to public and private clients throughout the southeastern United States, with more than 150 employees in 11 offices throughout Florida and Georgia.